Back by popular demand, international hit show Boys in the Band return to Brolga Theatre Maryborough with “the feel good show of the year”! Boys in the Band are looking forward to bringing their international hit show to Caloundra for the first time. 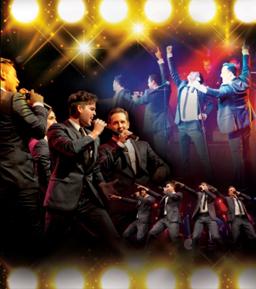 Boys in the Band will be performing two massive shows at 2:30pm & 8pm on 12th November for the first time at Jupiters Theatre on the Gold Coast. Boys in the Band will appear as part of the Heritage Bank Live Concert Series on Saturday 19th September along with Pseudo-Echo and Taxi Ride. Sunday the 24th of May. Tickets available at Mackay Convention Centre. Saturday the 23rd of May. Saturday the 16th of May. Tickets available at The Lighthouse Theatre.